2006 - 2007 Second Annual National Youth Theatre Awards! National Youth Theatre is excited to announce the winners of our Second Annual National Youth Theatre Awards to honor outstanding work in youth theatre. This year more than double the shows from last year were considered for the awards, including 89 youth productions from 56 different theatres in 44 cities spanning 11 states. The award winners were selected from nominations by a panel of eight judges and reviewers. 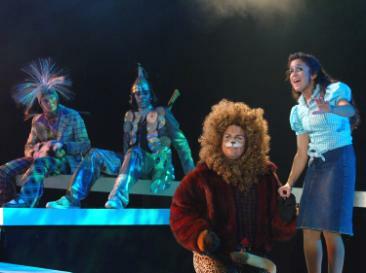 In addition to the youth who performed in the youth theatre companies, any minor (under age 18) who performed at a show reviewed by a National Youth Theatre judge was also considered for the awards, as well as the adults who participated in the youth theatre productions backstage (directors, set designers, costume designers, etc.). Thank you all for your incredible work and all the unforgettable entertainment over the past year! Admission to the awards ceremonies is free to all. You just need to RSVP using the link below. We hope you can join us! *Please note that if you are from California but can't make the San Diego ceremony, or if you are from outside California but can't make the Phoenix ceremony, you are welcome to RSVP for whichever awards ceremony fits your schedule.